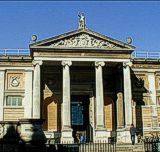 Through its Director, Christopher Wintle, who is also Director of the Hans Keller Archive (Cambridge University Library), Plumbago Books has been instrumental in arranging the gift of a collection of portraits by Milein Cosman to the Ashmolean Museum, Oxford. (Milein Cosman (b.1921) is the widow of Hans Keller (1919-85).) In accepting the collection on behalf of the Museum, Dr. Christopher Brown, its Director, described the archive as ‘hugely important … for all those interested in the period of the Slade’s presence in Oxford, as well as, of course, [for] containing beautiful and significant works of art.’ During the war years the Slade had been evacuated to the Ashmolean. The collection of drawings and pen-and-ink studies belong to the period 1940-43 when Milein Cosman was a Slade student. It includes several sketchbooks, a number of mounted portraits, and a quantity of loose-leaf drawings. Many of the pictures are of very high quality. 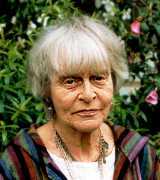 Among the subjects are Sidney Keyes, Iris Murdoch, Lord Berners, Sir Henry Wood, Thomas Armstrong, Sir Hugh Allen, Graham Sutherland, Bryan Winter, Terence de Vere Wight, Randolph Schwaab (Principal), Lord David Cecil, Bernard Denvier, Joseph Mertz, Roger Lancelyn-Green, Hermann Fiedler, Wilfred Israel, Geoffrey Faber, Herbert Read, Lawrence Binyon, Sebastian Isepp, Philip Rawson, David Houghton, Hugh MacKinnen, Renée Scott, Harold Jones, Cecil Riley and many others. There are also a number of studies of soldiers and figures in Oxford pubs and cafés. The Museum hopes that the public will be able to have access to the collection before too long.